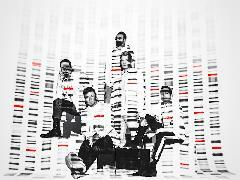 Buy tickets for Backstreet Boys DNA World Tour at Manila - To Be Announced on 28/10/2019 at LiveNation.asia. Search for Philippines and international concert tickets, tour dates and venues in your area with the world's largest concert search engine. Subscribe to our Newsletter for concert update: login and visit Subscriptions page, opt in “Live Nation Asia Newsletter” and save your preference! Don't have a Live Nation account yet? Register now. Follow MMI Live Facebook, Instagram & Twitter for updates.